24 Qty LEGO Magnet Brick - Dark Gray 2x4(dots). Size: 2 x 4 (Lego Dots). Qty: 24 Magnet Bricks. Condition: NEW. About This Item. 100% Genuine Lego. Shirt & Tie Pattern. 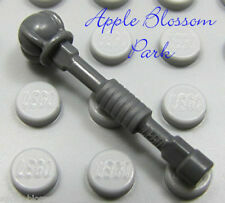 Lego parts are not suitable for children under 3 years of age due to a choking hazard. You will receive the 100 clip plates in light bluish gray as shown. LEGO Shown in the picture. LEGO parts are not suitable for children under 3 years of age due to a choking hazard. 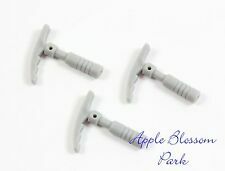 1 Lot of5 Authentic LEGO Dark Bluish Gray 21 Link Chains. Constrictai Fang Blade is Orange. Fangpyre Fang Blade is Red. Hypnobrai Fang Blade is Blue. Venomari Fang Blade is Green. 100% Genuine Lego. 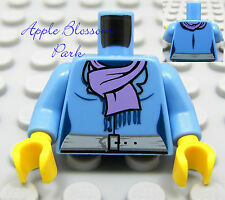 1 Lego Light Bluish Gray with Zipper Hoodie Pattern. 100% Genuine Lego. They fit on Regular size Lego Legs and Short Lego Kid Legs. 100% Genuine Lego. Brand New never displayed / played with. LEGO 2 x 4 Brick Minifigure Stand Display Magnets: LOT OF 8, colors as shown. - 1 X Red - 1 X Blue - 1 X Yellow - 5 x Gray Shipped with USPS First Class Package (2 to 3 business days). Free shipping within the US. Vest Torso with White Shirt Pattern. 100% Genuine Lego. Star Wars Millennium Falcon. Storage Bag. zippered 14" X 11" Case. in great condition. for blocks & Minifigs. 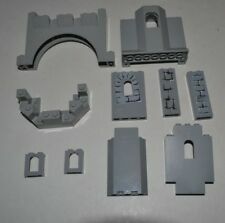 Lego part #s 54782 6083 and 6082. Thanks for looking! You get all 28 Lego Base Plates as pictured, various colors. Ships within 24 hours of payment. Any questions, let us know. 100% Genuine Lego. Hair only . 4 Lego 1x2 Light Bluish Gray Tile with Engine Gauge Pattern. 100% Genuine Lego. 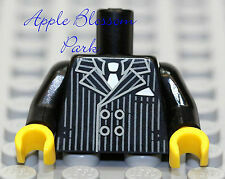 LEGO 3-Buck Bag: 75 - 1x1 Plate, LBG, New. This 3-Buck Bag contains 1x1 Plates, LBG. - 75 x Plate, 1x1, (Lt Blue Grey). - Want to see more 3 Buck Bags?. Check out->HERE! 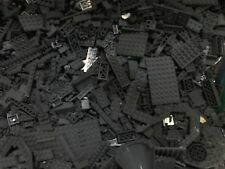 LEGO Parts. 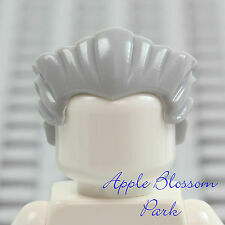 1 Lego Female Long Dark Bluish Gray Braided. 100% Genuine Lego. Hair piece only. 100% Genuine Lego. Lot of 10 LegoLight Bluish Gray 21 Link Chains. 5" in Length (13 cm).